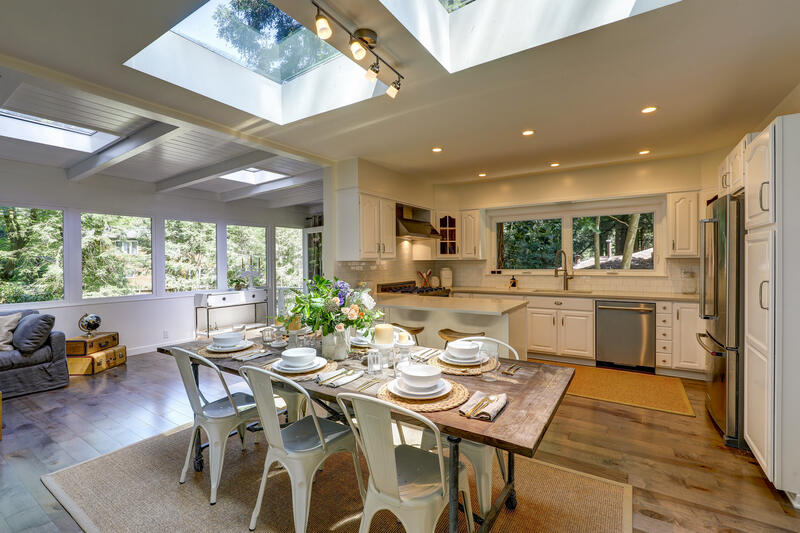 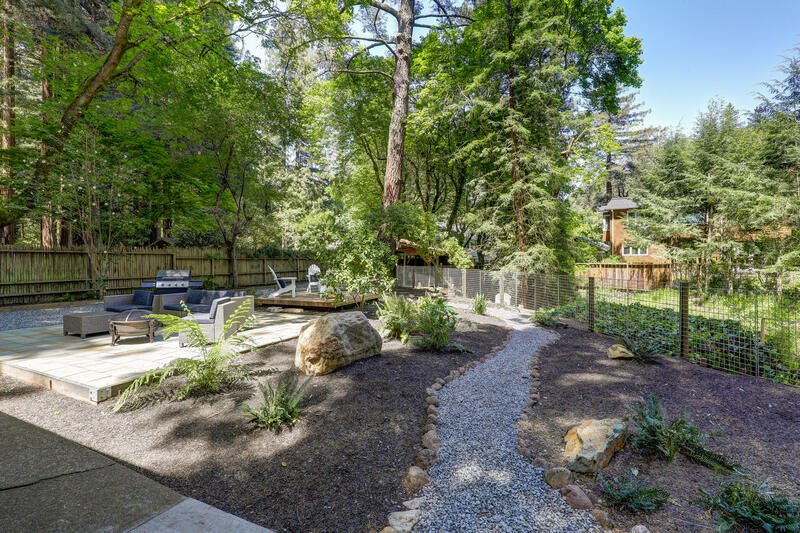 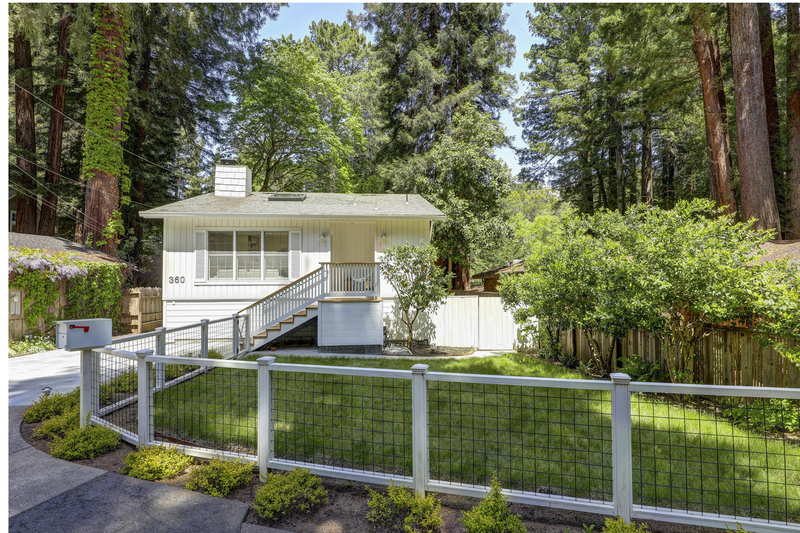 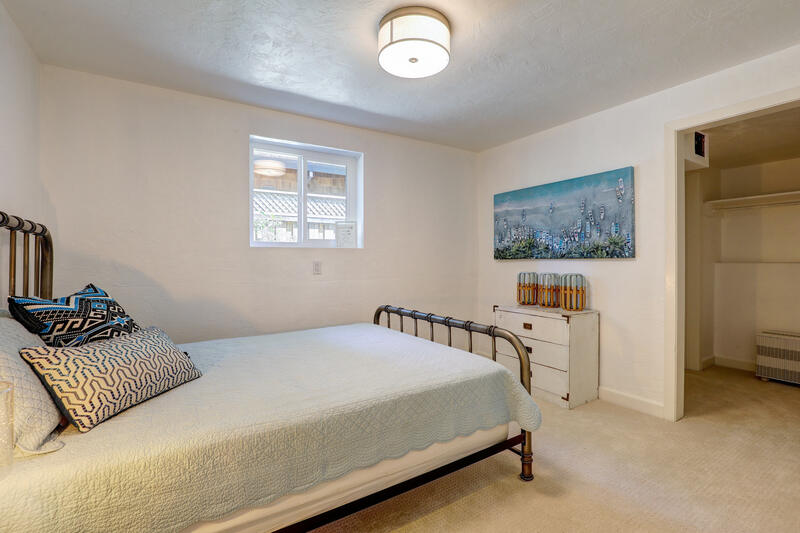 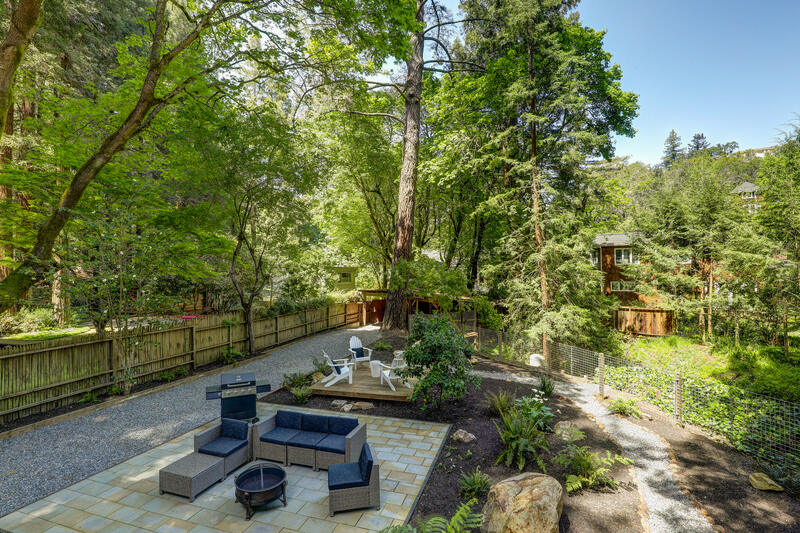 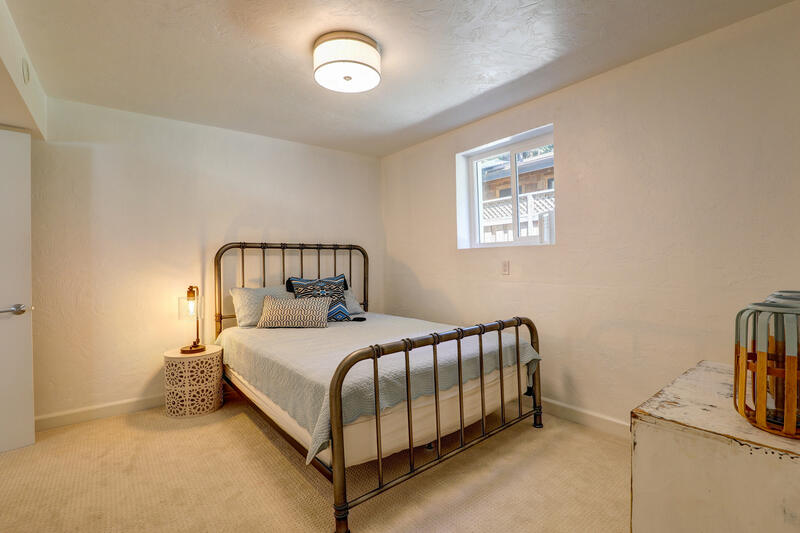 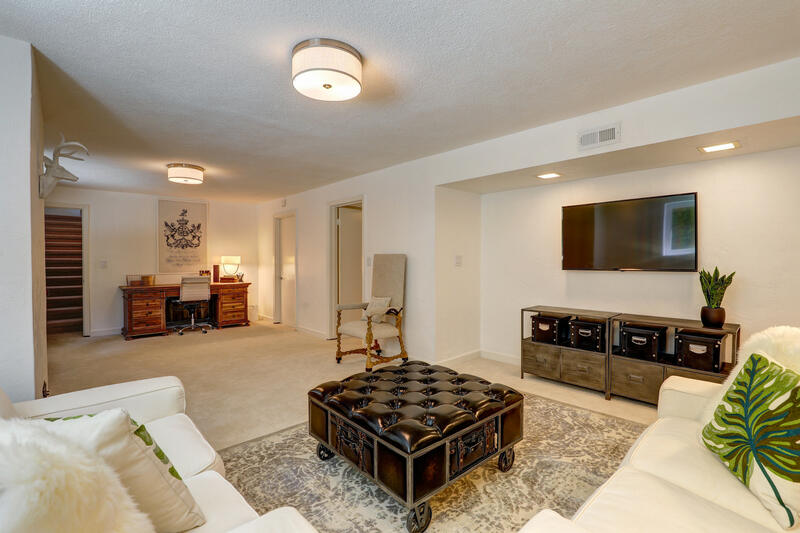 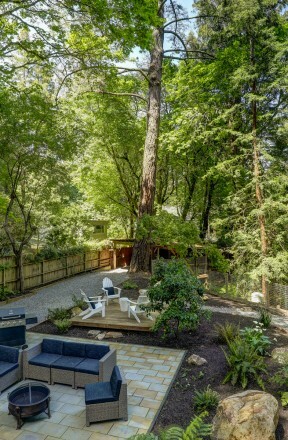 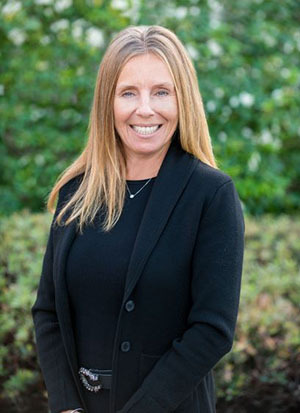 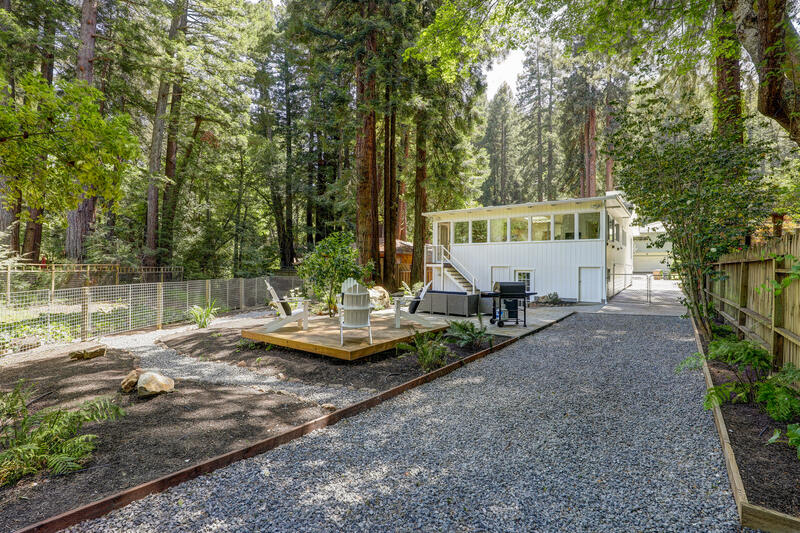 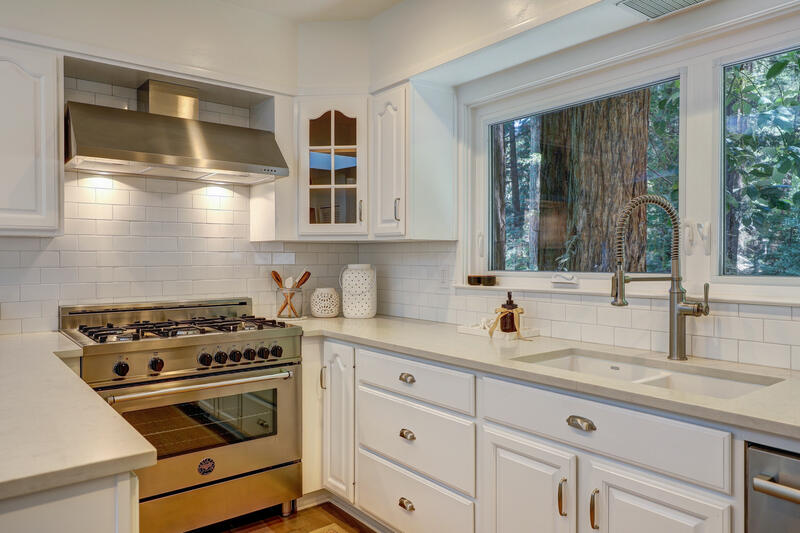 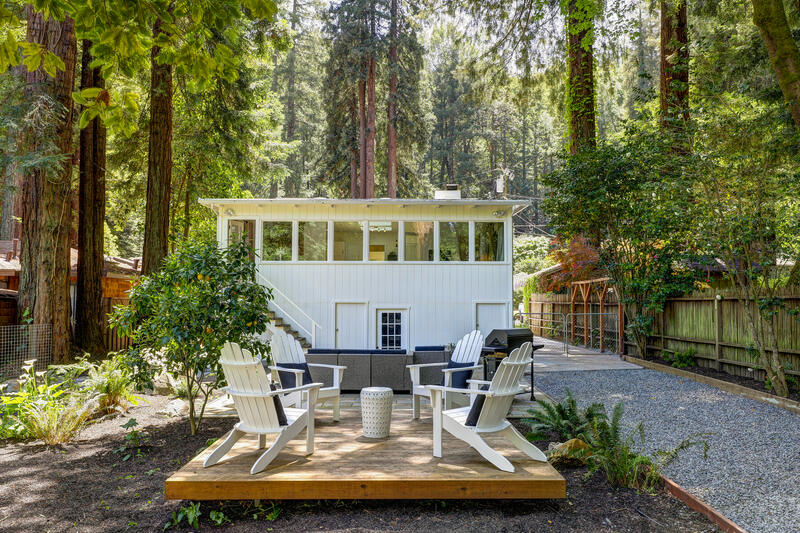 Located in the heart of Larkspur in a picturesque private and peaceful setting, while in close proximity to downtown Larkspur's main street. 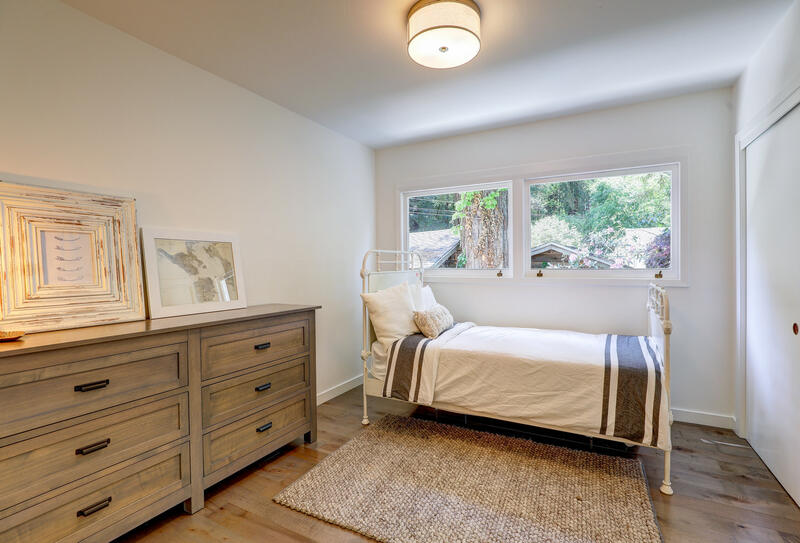 This timeless renovated residence offers, 3 bedrooms, 2 bathrooms and a hip modern farmhouse feel. 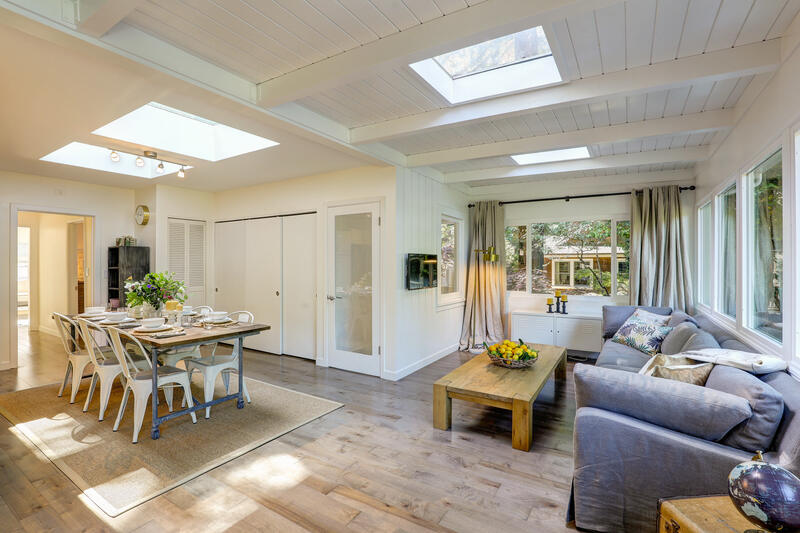 The idyllic setting offers the ultimate California lifestyle offering easy indoor - outdoor living . 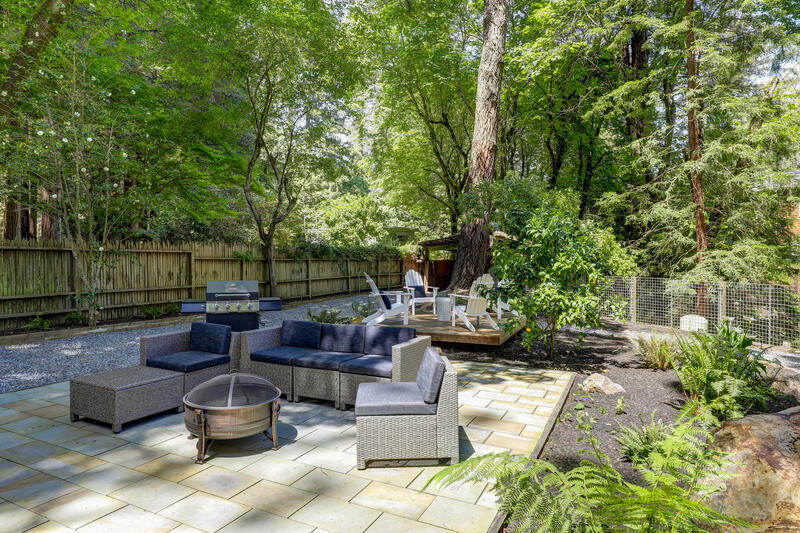 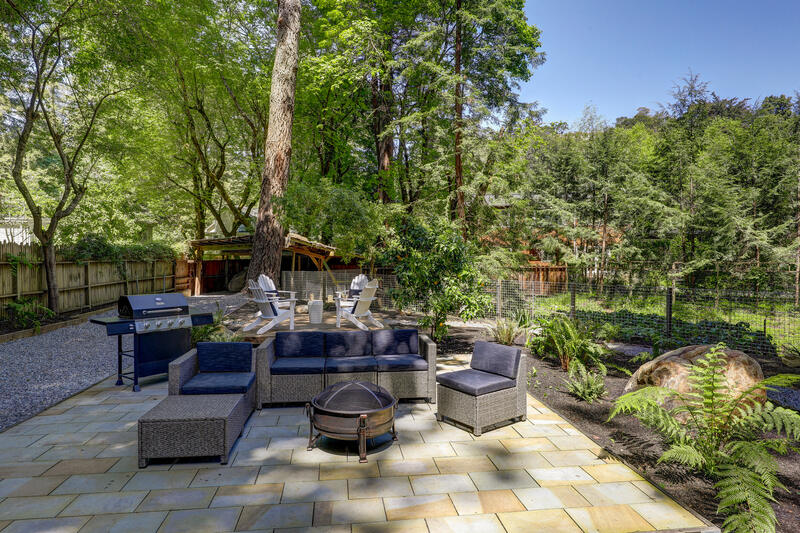 The expansive private grounds offer multiple entertaining areas complete with a stone patio and wood deck. 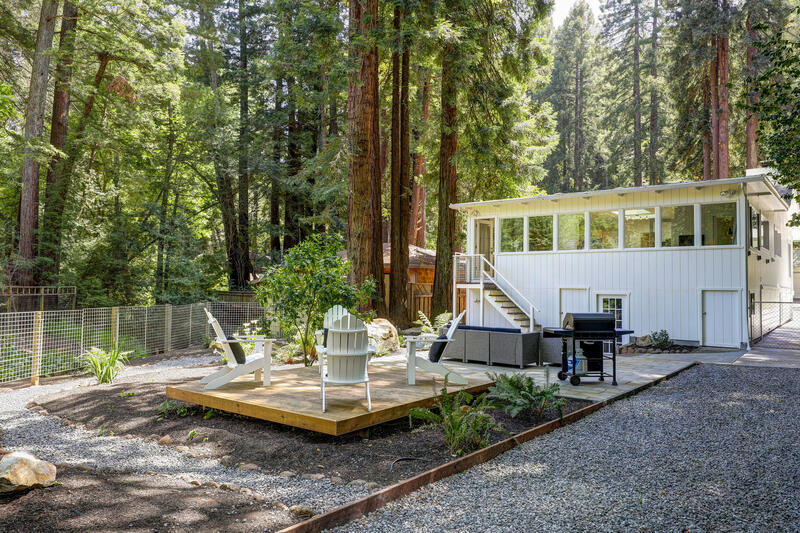 Truly a magical location with picturesque natural surroundings. 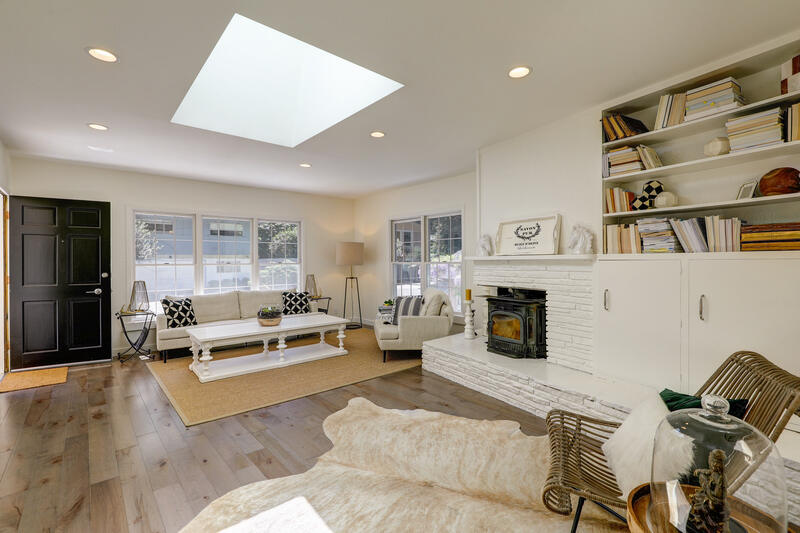 The front entry leads to the comfortable and inviting living room with gorgeous maple hardwood flooring, a wood burning fireplace, and large skylight offering optimum natural sunlight and an open and airy feel throughout. 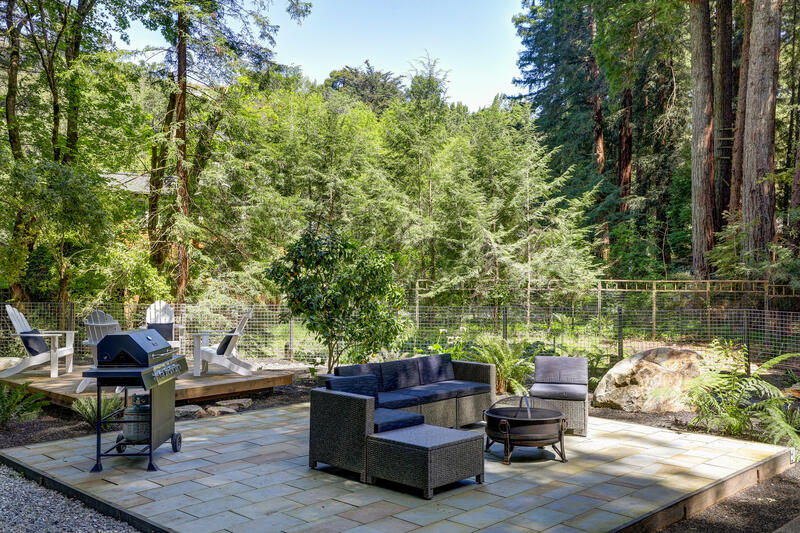 The fabulous great room, with kitchen, sitting room and casual dining area has a fantastic flow, overlooking the stunning natural beauty of Marin County and opening to the outdoor area. 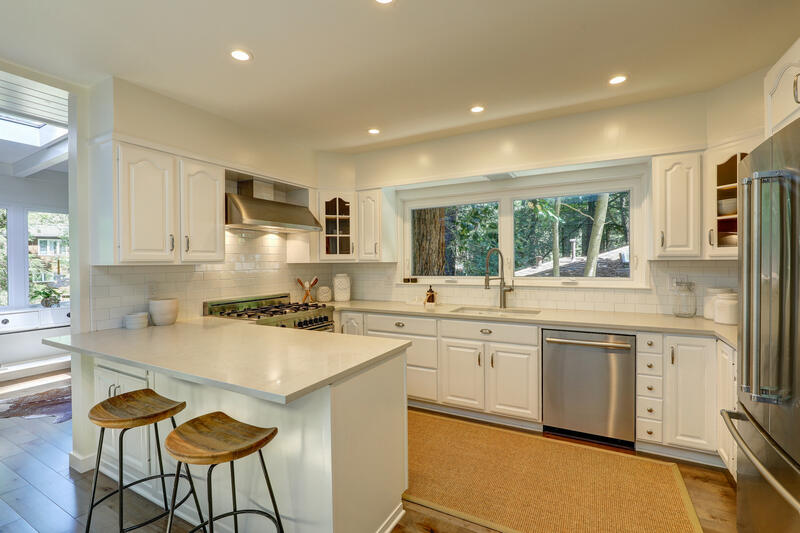 The inviting gourmet chef’s kitchen offers quartz countertops, tile backsplash, peninsula with seating for two, and high end stainless steel appliances which include: a Berrazzoni 5 burner gas range and oven with custom hood, Kitchen Aid refrigerator, and Bosch dishwasher. 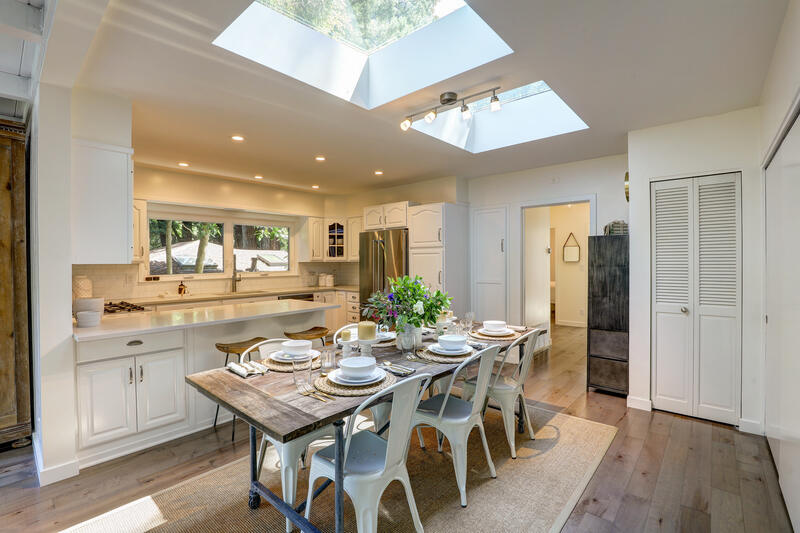 The dining area offers the ideal place for entertaining family and friends. 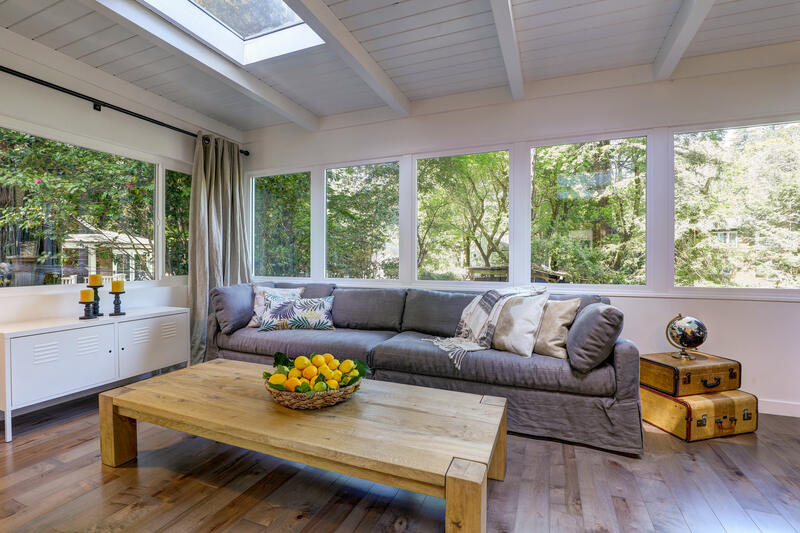 The sitting room leads to the outdoor area. 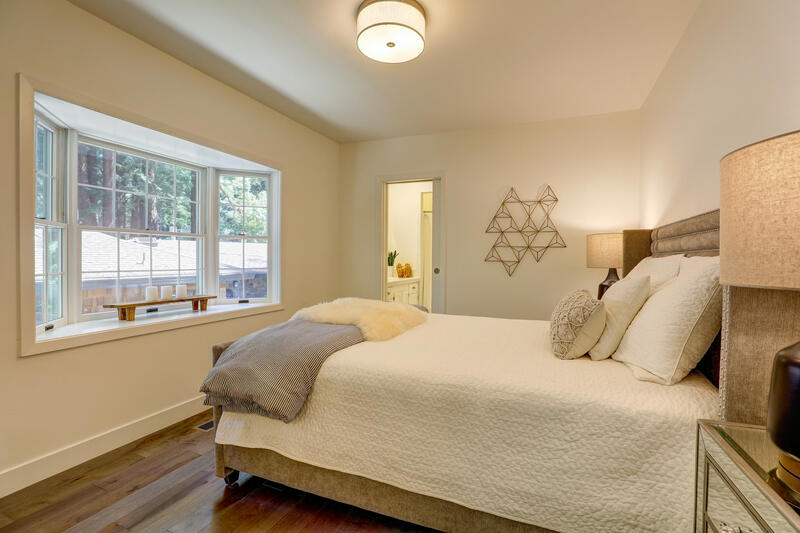 The main level of the home offers the master suite and second bedroom both complete with maple hardwood flooring. 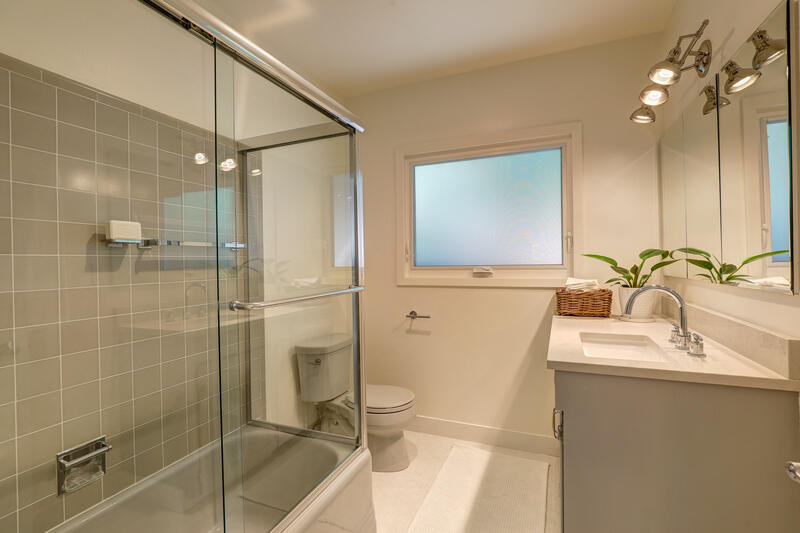 The remodeled titled master bathroom offers a bathtub/shower combination. 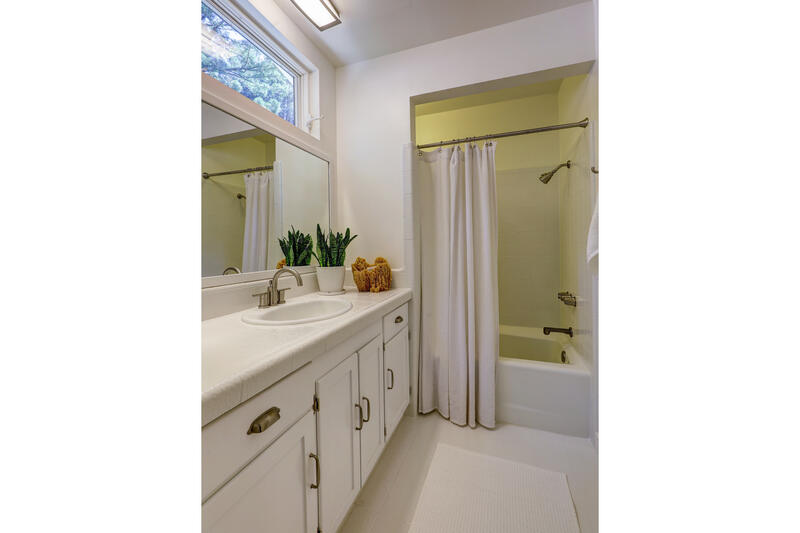 The beautiful guest bathroom was thoughtfully designed with restored antique tile flooring, custom vanity, lighting, and bathtub/shower combination. 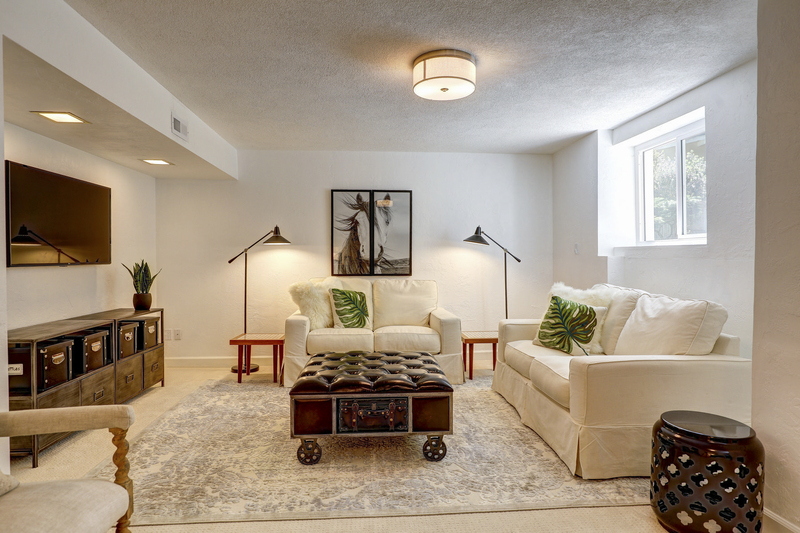 The lower level of the residence offers a spacious family room, office area and bedroom, all with carpeting. 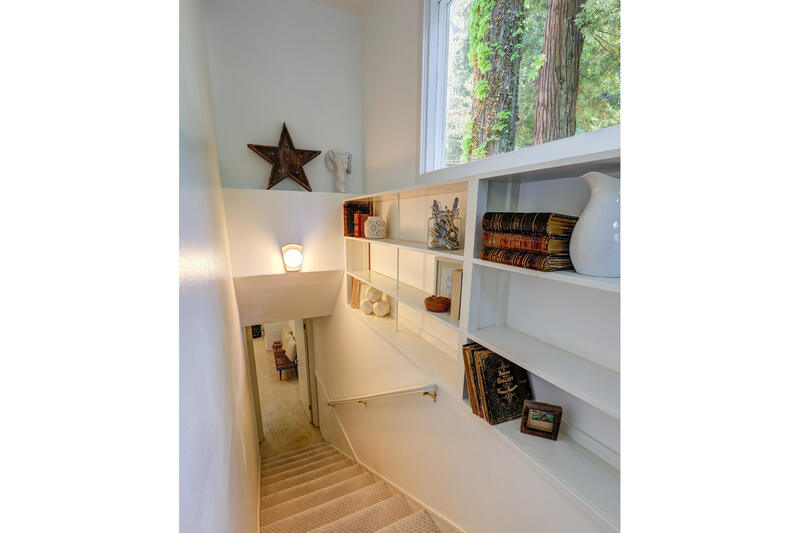 The storage room is accessible from lower level and the exterior of the home, offering the ideal place for an expansion to the residence. 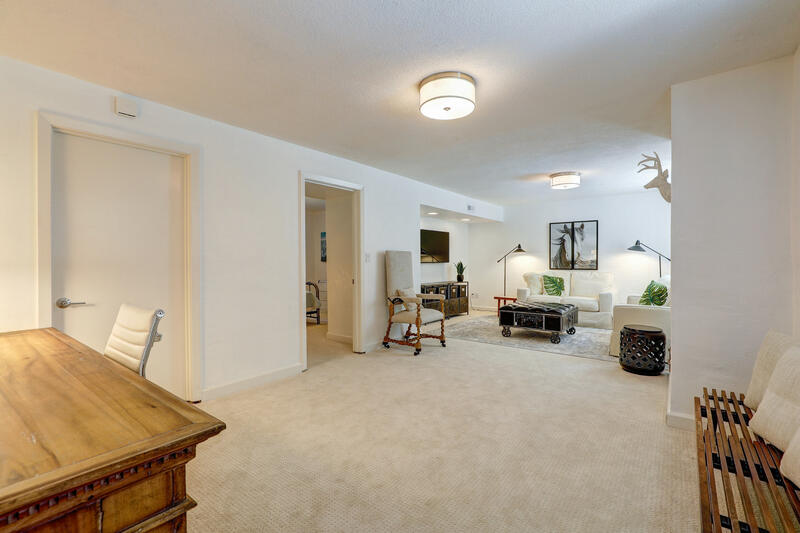 Laundry located on the main level. 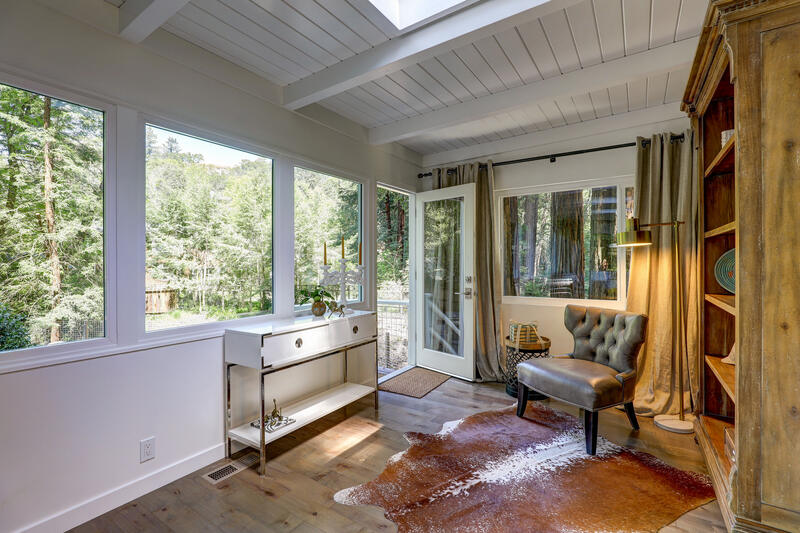 The thriving and vibrant main street in downtown Larkspur also known as Magnolia Avenue, is lined with historical buildings, exceptional restaurants, shopping boutiques and the host to special events throughout the year. 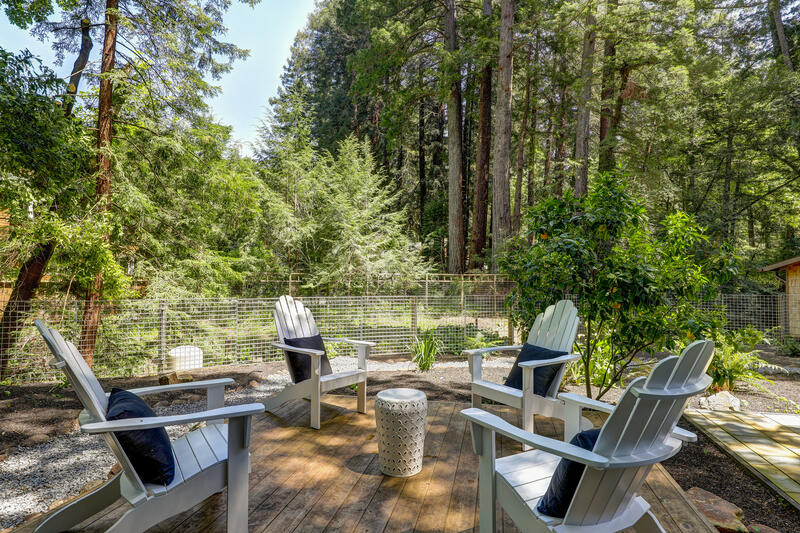 Larkspur is “the spot” to be in Marin, home to Equator coffee, the famous Rustic Bakery, restaurant's Gia, Picco restaurant and popular pizzeria, Perry’s, Left Bank, and a variety of different shops. 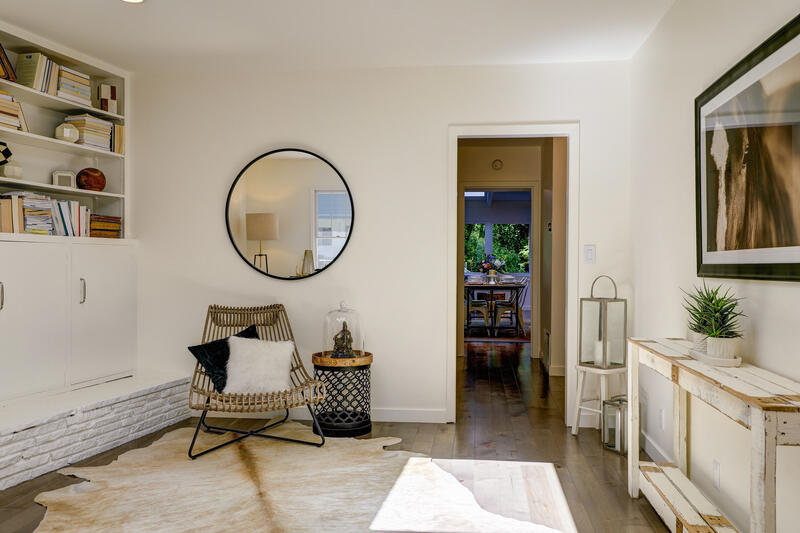 Easy access to the Larkspur ferry building for an easy commute to San Francisco and within close proximity to the best-rated schools in Marin. 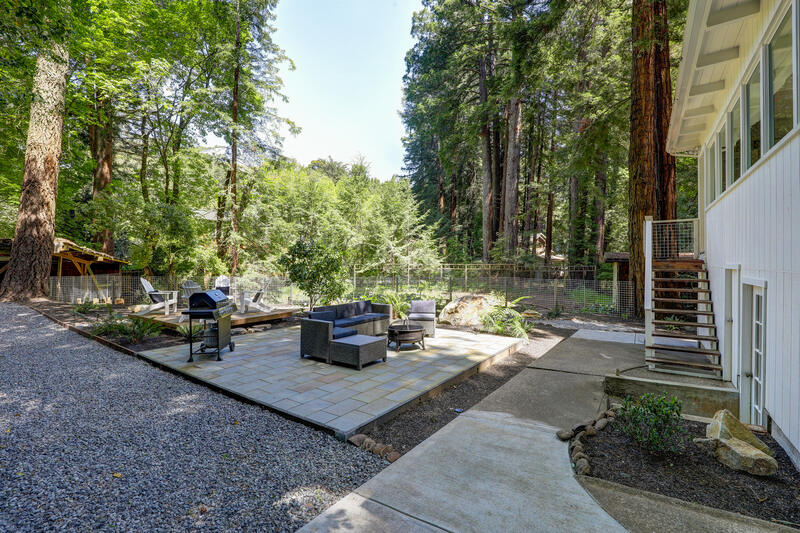 Live the outdoor life in Larkspur with close proximity to world-class hiking and biking trails.